With the hottest Summer since 1976 this year, the pupils couldn’t wait to get outside and build! 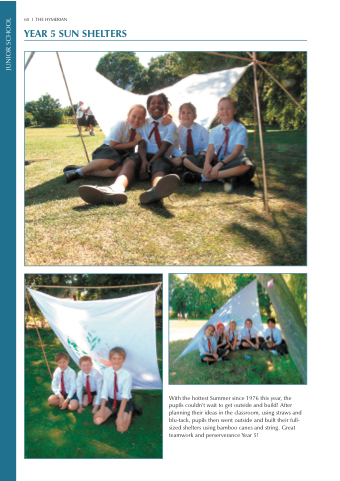 After planning their ideas in the classroom, using straws and blu-tack, pupils then went outside and built their full- sized shelters using bamboo canes and string. Great teamwork and perserverance Year 5!